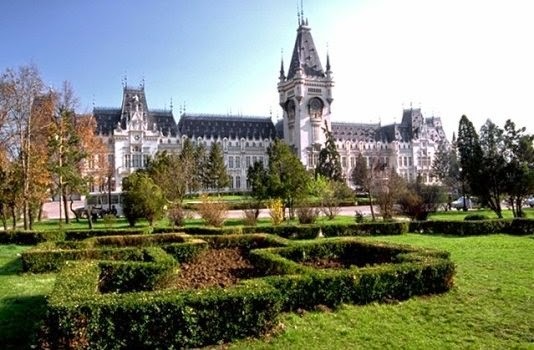 The City Hall of Iasi and Iasi County Chess Association are hosting the International Chess Festival "OPEN IASI" 1st Edition organized in Iasi, Romania, 10.05 - 18. 05. 2014. The festival will have three sections with total prizes EUR 25,000. A press release states, "Our city has a history of over 600 years and it is known as the cultural capital of Romania. Iasi is a city toped on 7 hills – like Rome – with 350 000 inhabitants, situated in the north-east of Romania (400 km from Bucharest). It is a famous academic, cultural, and industrial centre and it is located in the area of the well-known churches and monasteries in the northern part of Romania. "Iasi County Chess Association has a wealthy tradition of promoting chess in both national and international plans. We have successfully organized, in Iasi, multiple editions of both seniors and juniors National Championships over the time, as well as numerous international tournaments, the most known being the World School Individual Chess Championship 2012 (with a record breaking of 503 players from 36 countries), World Amateur Individual Chess Championship 2013 and Youth Teams Chess European Championship in 2011 and 2013. His Excellency Kirsan Ilyumjinov - FIDE President accepted the invitation of President RCF, Mr Deputy-Sorin Avram Iacoban, visiting Romania, during the International Chess Festival Open Iasi 2014. "We have, until today, confirming the participation, in section A and B, of 307 players from 22 countries, of which 30 GM and 30 IM List of players - http://chess-results.com/tnr123153.aspx?lan=1). "For a better organization of the competition (the deadline is 01 May 2014), we would like your RSVP intention to participate. The sooner you do so, the sooner we can offer you optimal alternatives for accommodation." Amazing Chess Square Illusion Video!